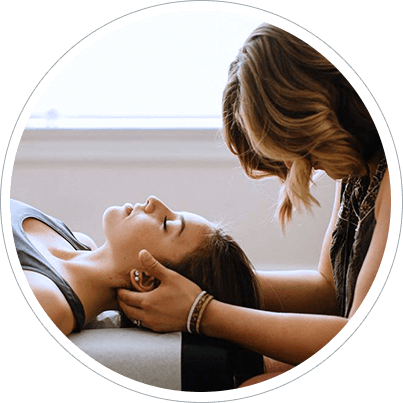 Cheyenne Chiropractors Dr. Marley Smith and Dr. Heather Smith understand the needs of their patients. 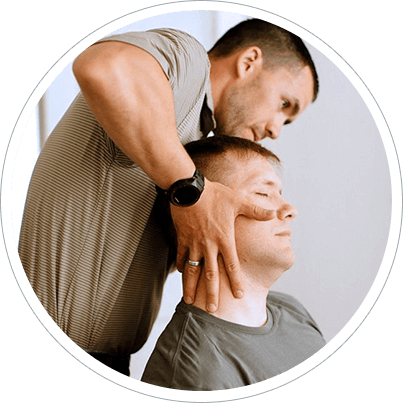 Their expertise and latest examination technology allow them to pursue a detailed approach to chiropractic care that produces results. Individualized adjustments and ongoing education are sure to help you and your family understand what it truly means to live well. Unlike walk-in clinics, Dr. Marley and Dr. Heather are very intentional with their care. Instead of assuming your needs, they utilize scientific analysis of the spine with the assistance of in-depth scans, thermography readings, and state-of-the-art x-rays to locate your problem areas. Under our care, patients of all ages are treated as unique individuals, receiving customized adjustments and lifestyle advice. Our chosen adjusting method, the Gonstead technique, helps us tailor every appointment to meet you where you are at. Livin’ Well Family Chiropractic offers corrective care, wellness care, and maintenance care that is done with you rather than for you. Education and patient involvement are important to us, and we make it our responsibility to empower you to learn, grow, and take part in your journey to wellness. Our new-patient orientations, monthly workshop series, and regular newsletters are meant to give you the information to choose health over all else. In addition to offering continuing educating to our patient community, we are also thrilled to speak to local organizations and help them make sense of science. If this sounds like something your club or business may enjoy, please contact our office for details. Our doctors look forward to getting to know you and spreading the good word. We are livin’ well and you can, too! Because we are a direct pay office, we are almost always offering new-patient promotions and discounts! Whether you want to get back to the workforce, become a more active mother, or experience pure happiness – we want to help you reach your goals! Discover how we can help improve your health naturally—schedule your first visit with us today. So far, I’m a believer…no doubt in my mind! Doctors Heather and Marley are such good people who are amazing at what they do-not just for their practice and patients but the community as well! Chiropractic has helped my athletic performance, allowing me to achieve personal best results! I also notice better range of motion, especially in my neck. Thanks Dr. Marley! I haven’t been sick in about a year and a half. I used to get bronchitis at least once a year. I am very grateful to Dr. Heather for her health in my “livin’ well lifestyle. I was impressed with the professionalism and personal attention I received. I’m looking forward to feeling better! I square dance- a lot! Dr. Marley keeps me dancing! Chiropractic has been live saving during all 3 of my pregnancies! It goes a long way making an uncomfortable time (especially during the 3rd trimester) much more comfortable! Everyone was very helpful and seemed to genuinely care! Fantastic, caring and compassionate doctors. I highly recommend Livin’ Well! Amazing experience for a first timer! Dr. Heather was great at educating me! We felt very comfortable at the first visit. It is very evident that your practice is different and truly cares about the health and wellness of each patient. Besides making me feel better physically, getting regular adjustments helps keep my stress levels down and gives me a more positive outlook. I have scoliosis and used to suffer from constant, severe back pain that would render me useless. My whole life I was told that I had to have surgery or just continue popping muscle relaxers to deal with the pain. But then I met Heather and Marley and started receiving regular chiropractic care. I am pleased to say that I have been pain free for a year and a half! They are amazing! The staff here is amazing! Dr Heather has helped me so much this pregnancy! I highly recommend them! After rotator cuff surgery, I was cleared of all physical therapy with 100% mobility after only 7 weeks post op. Without Dr. Marley and his chiropractic skills, it would have been 6-9 months of physical therapy. Thank you! Loved the education aspect of this practice! I am excited to become a regular patient, and I will definitely be bringing my baby to them once he is born! I Absolutely loved the welcoming environment. I felt like family. Dr. Marley and Dr. Heather are very knowledgeable, energetic and passionate about bettering the lives of their patients. They are fantastic at what they do! Great doctors that really take the time to understand their patients and their needs! Adjustments were amazing, nice office! I would recommend livin’ well family chiropractic to everyone! Everyone that worked there was friendly and made me feel very comfortable. Getting regular adjustments not only helped with my plantar faucitis, but it also keeps my body healthy and allows me to live an active lifestyle. Dr. Heather and Dr. Marley have helped me so much with my back and neck pain. Now I’m livin’ well. Thank you! Thank you for taking the time necessary to develop a plan specific and unique for me. I was interviewing you too, I wanted someone to be aggressive and truly seek a solution to my health, wellbeing and quality of life. I’ve been seeing Dr. Heather for a few months now, and I have absolutely loved every minute of it. She is so personable, and actually really truly cares about me and my health, as well as the health of my baby and she is genuinely interested in our lives. I appreciate it so very much. I’ve noticed significant improvements in my back pain, neck pain, and my overall health in general. I came to Livin’ Well with severe migraines and barely able to walk due to low back pain, but now I can walk without pain and rarely have headaches, let alone migraines! Thank you Livin’ Well! I was very impressed with everyone that helped me. The doctor even stayed late to fit in my first adjustment, which is above and beyond. I am very thankful!